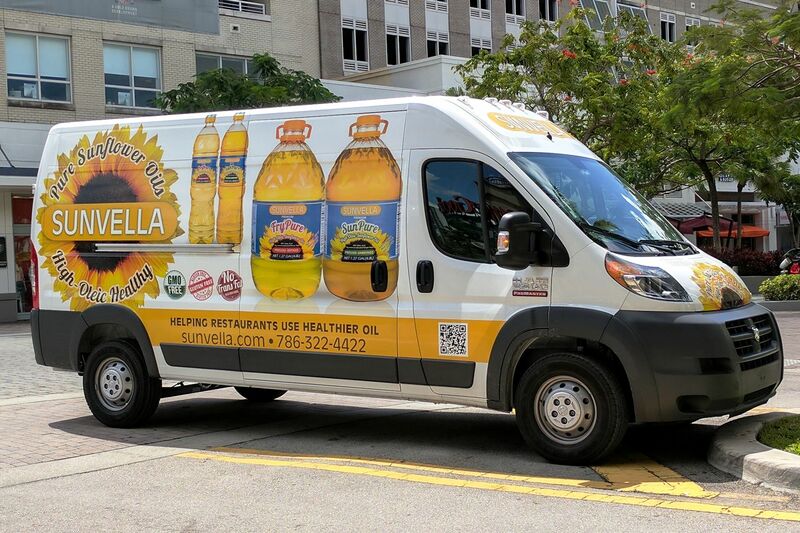 SUNVELLA, the premier supplier of healthy high oleic sunflower oils to restaurants, food services, and consumers, today announced that Green Gables Café in Coral Gables, Florida, is now preparing its healthy and delicious locally sourced organic cuisine with SUNVELLA High Oleic FryPure Sunflower Oil. Both SUNVELLA FryPure Refined High Oleic Sunflower Oil (frying and sautéing up to 450°F), and SunPure Unrefined High Oleic Sunflower Oil (fresh presentations and baked goods) contain 83% oleic acid, promoting “good” cholesterol production in the body. A full 12 grams of monounsaturated fat are present in one tablespoon of SUNVELLA Sunflower oils, unlike other common culinary oils, some of which may have fats that can actually be detrimental to a person’s health. Other healthy attributes of SUNVELLA High Oleic Sunflower oils include being all natural, fresh-pressed from non-GMO sunflower seeds, gluten-free, additive-free, cholesterol-free, Paleo-friendly, with 0% trans fat. Oil Force manufactures SUNVELLA High Oleic Sunflower oils exclusively for distribution in partnership with one of the world’s largest sunflower oil producers. This partnership ensures a continuous supply of SUNVELLA products in virtually any volume, via dependable delivery to any outlet in the country. Since SUNVELLA products are shipped directly from the processing site, Green Gables Café and other critically acclaimed restaurants realize the lowest possible price as they provide a healthier dining experience for their clientele. For more information on SUNVELLA products visit sunvella.com. Green Gables Café believes that education is very important when it comes to food and nurturing the community. They are glad to share each ingredient and all the methods of preparation with its customers. Green Gables Café is located at 327 Alhambra Court, Coral Gables, Florida, and is open Mon thru Fri from 7:30am – 4:30pm. Learn more at greengablescafe.com. Reservations at 305-445-7015.